Over the lifetime of your car, your are probably going to need new tires. But how do you know when it’s the right time? What are the right ones to get? What are some of the ways people get scamme? At John’s Quality Automotive, Inc. I can help you pick out the right ones that are perfect for your car at the right price and you won’t get scammed into buying unneeded or unnecessary repairs. 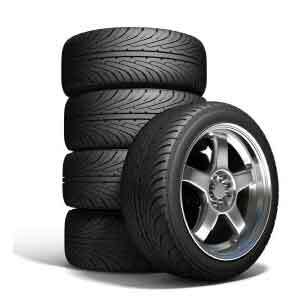 Tires have a pattern or tread with slots or grooves where the tire meets the road. In most states, they are legally worn down when the depth of the tread gets down to 1/16th of an inch. Usually though, if your tread have less than 1/8th of an inch left, it’s time to start looking for new ones. An easy way to measure your tread is to take a penny and stick it in the tire tread groove. If you can see the top of Abe Lincoln’s head, then it’s time for new ones. Or, if you suspect your they need replacing, call or stop by John’s Quality Automotive and I’ll check them out for you. Hold off. Bring your car to me and let me give you a second opinion. I’ve helped hundreds of people looking for auto repair here in the Largo, Seminole and Clearwater area to save hundreds of dollars by not giving in to unneeded or unnecessary repairs and I’d like to help you too. I’ll look at your car and tell you exactly what needs to be fixed, what can wait and what is totally unnecessary to replace. Don’t get ripped off by mechanics from big box stores who just “honestly” want you to spend more of your money. 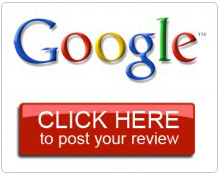 You’ll get the truth at John’s Quality Automotive, Inc. because here you get treated honestly and fairly. Why Use John’s Quality Automotive, Inc.? I guarantee all service for one year or up to 12,000 miles. I return parts, heck I’ll even use your parts if that’s what you’d like. You’ll never be charged for services you don’t need and I never use scare tactics to frighten you into spending more than you expected just so it’s safe to drive your car. That’s just ridiculous.